Getting a new dog always comes with a rollercoaster of overwhelming emotions, but nothing quite compares to getting your very first dog. If you have never had a dog before, it is important to try and choose a breed that is suitable for first-time dog owners. 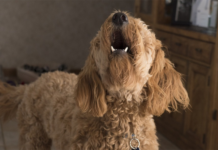 Some dog breeds are more demanding than others when it comes to training, exercise requirements and overall personality, and you don’t want to be in over your head already before you have gotten to experience the wonderful world of dog ownership. 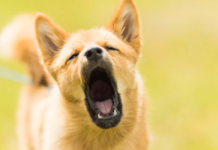 This does not mean that it isn’t possible for a first-time dog owner to do well with a more demanding dog breed; such as the Husky and the Belgian Shepherd, but the risk is bigger of ending up struggling to meet the dog’s needs if you don’t have the necessary experience. 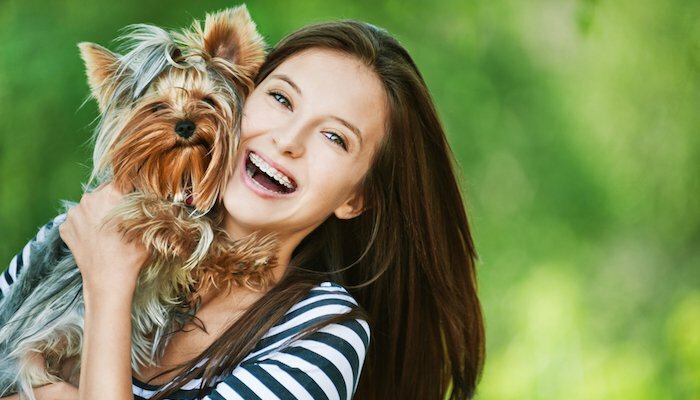 When a Yorkshire Terrier – a Yorkie – has an owner that cares for their fur and lets it grow long and flowing; it looks almost as if they are floating across the floor when they walk! It is one of the world’s smallest dog breeds, yet they have a personality so big that it is sometimes hard to understand how it can possibly fit in such a tiny body. A Yorkie does not know their size, and they will take on a dog 20 times as big if put on the spot. Yorkshire Terriers have enormous hearts (figuratively speaking) and endless love to give to the right person; they are loyal, easy to train, attentive and full of contagious enthusiasm, and it is impossible not to love them as they roam around the house – doing whatever they can to get you to giggle. It is a great first-time dog since they love to spend time with their family, they live for a good outdoor adventure while also having reasonable exercise requirements, and they tend to learn desired behaviors (house training and other simple home rules) faster than many other breeds. A Yorkie gives a first-time owner everything a larger dog would have to offer, but in a smaller package! It is an incredibly charming dog that is easy to bring along no matter where you go, and their fun-loving personality is adorable. 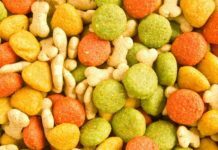 Feed your Yorkie these dog foods. When deciding to get a dog, and especially if you have never owned a dog before, it is important to make an educated decision and pick a breed that matches what you have to offer. The Golden Retriever is a large breed that requires frequent grooming, but other than that it is a great option for a family, a couple or a single person who is looking to invite the first dog into their lives. It is an intelligent dog that requires love, care, and exercise, but that is a master at adapting to the pace and habits of their family members. They are usually happy if they receive the three things mentioned above, along with time together with the people they love the most. Training a Golden Retriever is generally easy, as long as you are willing to be patient (as with any dog) and committed to the process. Golden Retrievers want to learn; they want to please you and working together with a Golden is a great way to strengthen the dog-owner bond and to begin to discover the joys of being a dog owner. Having your first dog be such a sweet and well-meaning soul; one that does not ask for more than what an inexperienced dog enthusiast can give is a wise choice since it sets the foundation for a successful dog ownership experience. The Golden Retriever is also a surprisingly versatile dog, which gives new dog owners a chance to try any activities they are curious about! Agility, tracking, hiking, long walks, morning runs, hunting, dog park play, swimming and obedience competitions are just a few of the things Golden Retrievers often exceed at, and by choosing a Golden Retriever as your very first dog – you won’t be limiting yourself in terms of fun activities for you to enjoy together. You might want to read up on the top dog foods for golden retrievers. This gentle and sweet dog breed is a package deal when you are looking to acquire the perfect dog – especially if you have never owned a dog before. Labrador Retrievers are smart, funny, they love to cuddle, they are active and love the outdoors and they are considered excellent family dogs. They adapt well to most lifestyles and are very tuned in with what goes on around them. No dog owner knows how to do things right already from the start, no matter how much prior research there is, and the Lab is a forgiving dog breed that won’t mind taking it slow in the beginning. 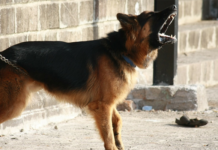 They do their best to show their humans what they need, and they are a loyal dog breed that is easy to read and understand. Another thing that makes the Labrador Retriever a great breed for first-time owners is their patience and their calm in somewhat stressful situations. Training a dog can be difficult before you get the hang of it; and while some dog breeds can get nervous and uncomfortable if their handler does not seem to know what they are doing or if they are sending out inconsistent signals – the Lab is fine with being trained by someone who is learning as they go. The most important thing is that the training is carried out with positive reinforcement methods and that you make sure to have fun with your dog while you are both learning. The Labrador Retriever requires very little grooming, something that can be a relief for an inexperienced dog owner. They have short hair that should be brushed occasionally to avoid excessive shedding but won’t need daily brushing like many long-haired breeds. Few can resist this fluffy ball of unconditional love – the Pomeranian! It is a dog breed that remains puppy-like in physical appearance throughout their whole lives, and many are drawn to them for this reason. They are energetic, bouncy, a little yappy (but this can be trained) and loyal to their family, and they are a fun breed to explore dog ownership with. The Pomeranian does require frequent brushing and grooming, due to having thick and long fur, but they are generally easy to train to enjoy a daily grooming session, which can turn this into a way for a novice dog owner to bond with their new fur friend. Taking care of your pup’s coat can be fun if approached with the right attitude, and the grooming requirements shouldn’t scare a first-time dog owner from considering the breed. It is important to be aware, yes, so that you can decide if it is something you would have the patience to do, but if the answer is that you would – go for it! 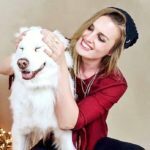 Regular visits to a professional groomer can help you keep your pooch in perfect condition, and the internet is full of helpful videos for how to groom your Pomeranian at home. If you are looking for a small breed dog to become your first canine companion, the sweet and friendly Pomeranian is an option worth considering. They will adore you and forgive you for any newbie mistakes you might make, and they won’t mind taking baby steps with you as you ease into the role of a dog owner. Poodles have been loved by people worldwide for decades, and it is one of the dog breeds that are considered suitable for first-time owners. One reason is that they come in three different sizes so that you can choose the Poodle size that best suits your needs, expectations, and circumstances. You can choose a larger standard Poodle, a Miniature Poodle or the smallest one – a Toy Poodle. Poodles are happy and joyful dogs; full of energy and always with that characteristic Poodle smile on their face! They are goofy and playful, easy-going and smart and they love to cuddle with their best human friends! It is the kind of dog that you can bring along with you anywhere and everywhere; a breed that adapts well to new circumstances and that asks for very basic things, with examples being exercise, love, the chance to learn a few tricks and access to good food. They don’t mind if you live in a shoebox-sized apartment, as long as you are willing to take them for daily walks and to let them play with you at home, and they know how to make you laugh even when you don’t feel like cracking a smile. 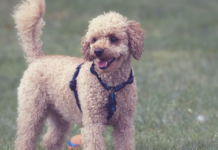 Owning your first dog can be stressful and scary, but a Poodle has the ability to make you feel like everything is going to be okay – like you will get to where you need to go, together.